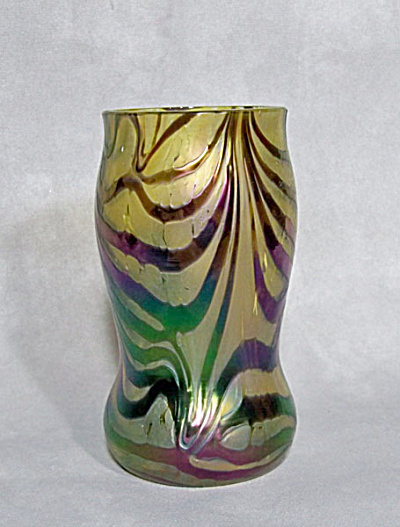 Kralik 5 inch pulled feather/platinum oilspotting on amber vase. Incredible combination of form and decoration. Pure Kralik. Excellent condition.